The Brisbane Netball Talent Identified Program (TIP) is a pre-season representative program. If you are interested in representing Brisbane Netball it all starts here. The nomination form for pre TIP Clinics (largely for those born 2004 and 2005) is available from the Brisbane Netball website. Where: Clayfield College Sports Centre, Sandgate Road, Clayfield. 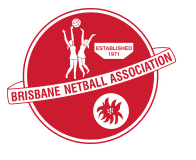 Nomination forms and further information available this week on the Brisbane Netball website.